At Graham Tire & Auto, Inc. we promise to devote our attention to all customer needs, providing customer service that you will not find anywhere else. Graham Tire & Auto, Inc. has been in operation since 1998 starting out in 2 bay Sunoco station and has grown to a 10 bay facility at 1 Alumni Dr Exeter, NH. Since founding Graham Tire & Auto Inc. the shop has grown large enough to serve Stratham, Brentwood, Kensington, East Kingston, Hampton Falls, Newfields, South Hampton, Epping, and North Hampton. 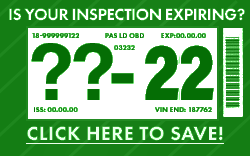 Our ASE certified technicians can assist you with any auto or tire question. Graham Tire & Auto specializes in all types of automotive products and services, including: tires, brakes, shocks, struts, and wheel alignments. Looking for tires may be difficult at times, but when you're at Graham, "The Pros Who Know", there is no hassle. Stop by our location or use the Tire Size Finder online. When shopping for tires we use nationally recognized brands like MICHELIN®, BFGoodrich® and Uniroyal®. We also offer a variety of services for your tires including: computer spin balance, flat repairs, low profile installation, and rotations. Graham Tire & Auto, Inc. can always accommodate any motor vehicle by offering commercial, farm, industrial, and OTR tires. Get the most from your vehicle and have our technicians at Graham Tire & Auto, Inc. perform quality service to your vehicle. Belts & hoses, brakes, cooling/radiator system, electrical systems, engine: diagnostics/performance, 4W drive systems, glass repair/replace/tint, heating and air conditioning, and prevention maintenance just to name some of our automotive services. If you're looking for the best automotive service in Exeter, NH, look no further than Graham Tire and Auto. We are able to repair new hybrid vehicles, so bring your "Green Machine" to us so it last the ages! Stop by our location, contact us online, or call 603-772-1817 to discover Graham Tire & Auto, Inc.!